Vodafone earned a fine for its rotten customer service, but it can now claim bragging rights as the best data network in three cities, as well as the lowest overall latency and ping rates on 4G. Tutela's latest crowdsourced network survey for May shows Vodafone narrowly ahead of the other big UK networks for packet trip time on LTE (Three has the lowest on 3G). 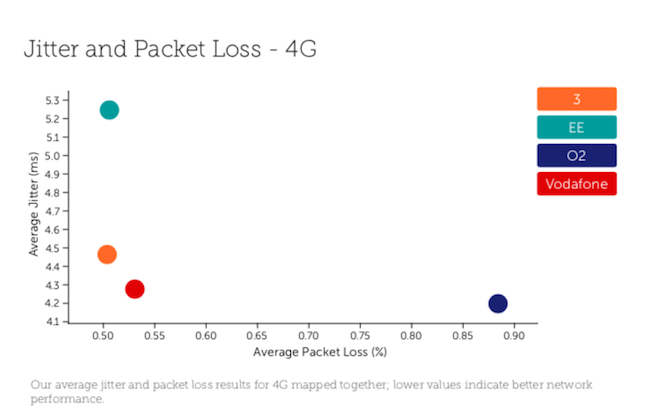 The combined jitter and packet loss again has seen Vodafone well placed, with O2 far behind as an outlier. Interestingly, O2 and Vodafone share cellphone towers. And although EE has the significant advantages of scale and spectrum, delivering vastly superior data download rates, Vodafone can claim top spot in three big metro areas. "EE is killing it. EE is always the best or tied or second by a small margin, but overall we saw Vodafone [as] the best network in London, Manchester and Birmingham," Tutela veep Tom Luke told us. "In rural areas, though, EE is miles ahead". Tutela has also seen an uptick "within a matter of hours" for O2 since it turned on new spectrum, Luke noted. Three years ago Vodafone said it was prioritising reliability over speed with its LTE rollout, but thanks to some surgically targeted investments, it is catching up to EE by some data performance metrics. It's now second to EE in Tutela's 2MB file download and 1MB upload tests. London has benefited from a noticeable improvement in performance. 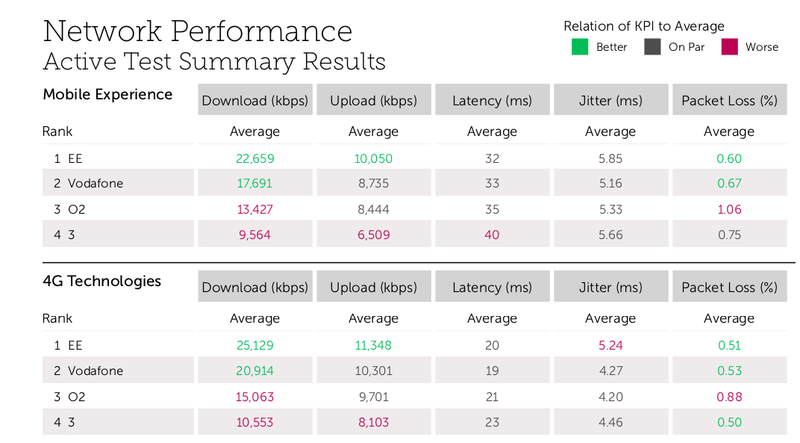 Three records the best of the Big Four for latency jitter and packet loss in Scotland, while Vodafone has a considerable lead in Wales. Both Vodafone and EE tout network speed but have suffered from notorious customer service. In 2016, Vodafone was fined by Ofcom for failing to provide pay-as-you-go customers a service, and poor complaints resolution. EE was also fined a year later for similar reasons. Vodafone was also picked out as the most grumbled-about mobile network in January. This week Vodafone instituted a 30-day money-back guarantee for contract customers and SMEs – twice the usual – allowing new subscribers to cancel for any reason without penalty. Luke gave a strong defence of crowd network testing, which has come in for sharp words from the drive network testing companies. "We never claim we're trying to replace drive testing – you absolutely need it. But we're everywhere all the time," he said. Tutela's 250,000 sample base in the UK is always on, and can find network kinks driving can't, which might be distorted by one-off events. He also thought Ofcom's testing – conducted for it by P3 – was insufficient to give a true picture of UK mobile networks.